Long before the first settlers, the area now known as William B. Umstead State Park was wilderness. American bison, elk, bobcats and wolves roamed forests of oak, hickory and beech. Native Americans later inhabited the land and avenues of trade were developed nearby. Such avenues included the Occoneechee trail to the north and the Pee Dee trail to the south. 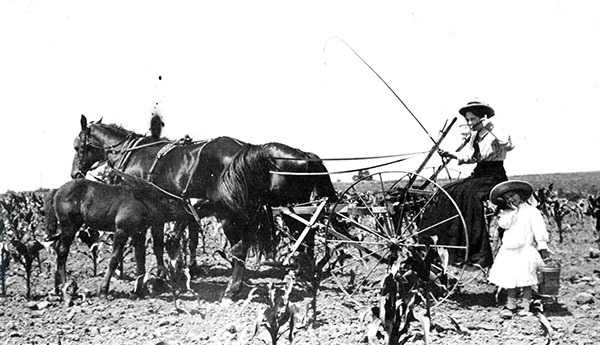 In 1774, land grants opened the area for settlement by Europeans. In 1934, under the federal FarmResettlement Administration, federal and state agencies united to buy 5,000 acres of this submarginal land to develop a recreation area. The Civilian Conservation Corps, as well as the Works Progress Administration, under the direction of the National Park Service helped construct the site while providing much needed jobs. Four camps along with day-use and picnic facilities were built and the park opened to the public in 1937 as a National Park Service Demonstration Area Park. 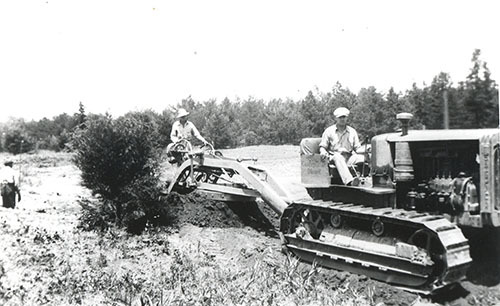 In 1943, The state purchased this area, known as Crabtree Creek Recreation Area, for $1, and more facilities were built as the General Assembly made its first state parks division appropriation in the 1940s. In 1950, more than 1,000 acres of the park were established as Reedy Creek State Park, a racially segregated park for African Americans. Crabtree Creek Recreation Area was renamed in 1955 after former Governor William Bradley Umstead in recognition of his conservation efforts. In 1966, the Crabtree Creek and Reedy Creek areas were desegregated and united under one park, the William B. Umstead State Park. were non-native and invasive. Once the park was established, these species were left unabated and continued to grow with an impact on native vegetation. The prevalence of non-native plants and their affect on the ecology can still be seen within the park. The change in land use from farm to forest has allowed signs of lasting human impacts to converge with elements of the natural world. This demonstrates the ways state parks preserve the marks of history as well as the natural ecosystems. Unique flora and fauna native to North Carolina can be found throughout the park. The varying forest types provide habitat for beavers, raccoons, deer, and a multitude of bird species. Belted kingfishers and great blue herons are commonly seen near streams and lakes. Management of the park includes preserving the native ecosystems and natural areas. The Piedmont Beech Natural Area, a 50-acre tract of towering beech trees, has been included in the National Registry of Natural Landmarks. The tract exemplifies a forest type found in the piedmont prior to development. Due to the sensitive nature of the area, access is allowed only by permit. Crabtree Shrub Slopes Natural Area contains shrub species uncommon in the piedmont region including rhododendron and laurel. During the Depression, Civilian Conservation Corps workers built several camps -- Crabtree, Sycamore, Lapihio, and Whispering Pines -- at the Crabtree Creek Demonstration Area. A number of the structures exist today and have been placed on the National Register of Historic Places. One of the camps, Camp Sycamore, was closed by the state in the 1980s. In 2015, volunteers and the efforts of the Umstead Coaltion began restoring the dining hall and cabins for future visitor use. North Carolina Division of Parks and Recreation. William B. Umstead State Park. http://www.ncparks.gov/william-b-umstead-state-park (accessed December 29, 2015). Stradling, Richard. Depression-era camp restored at Umstead State Park. The News and Obsserver, May 29, 2015. http://www.newsobserver.com/news/local/counties/wake-county/article22635...(accessed December 29, 2015). National Park Service. Raleigh A Capital City: Crabtree Creek Recreational Demonstration Area. http://www.nps.gov/nr/travel/raleigh/cra.htm (accessed December 29, 2015). National Park Service. Raleigh A Capital City: African American History. http://www.nps.gov/nr/travel/raleigh/africanamericanhistory.htm (accessed December 29, 2015). North Carolina Division of State Parks. William B. Umstead State Park Master Plan. 1974. https://archive.org/details/williambumsteads00unse (accessed December 29, 2015). National Park Service. National Register of Historic Places Registration Form. Crabtree Creek Recreational Demonstration Area. 1995. http://www.hpo.ncdcr.gov/nr/WA0721.pdf (accessed December 29, 2015). [Mother and daughter farming.] Photograph. ca. 1900. North Carolina State Parks Collection. [Clearing park land, Umstead State Park.] Photograph. ca. 1950. North Carolina State Parks Collection. 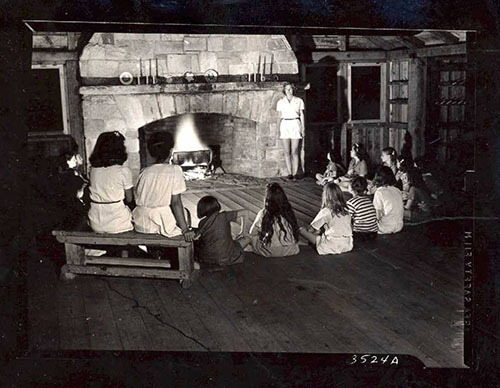 [Storytelling at camp, Umstead State Park.] Photograph. ca. 1950. North Carolina State Parks Collection, NC Digital Collections. http://digital.ncdcr.gov/cdm/ref/collection/p16062coll27/id/53 (accessed December 29, 2015).